Sorry, The Bongolian 'Outer Bongolia' Promo Poster is out of stock. Another find from the Blow Up warehouse and extremely limited, these have never been available to buy until now! Poster size: A3 (29.7 x 42 cm). *NB: Frame not included. Poster was folded in half at time of printing. 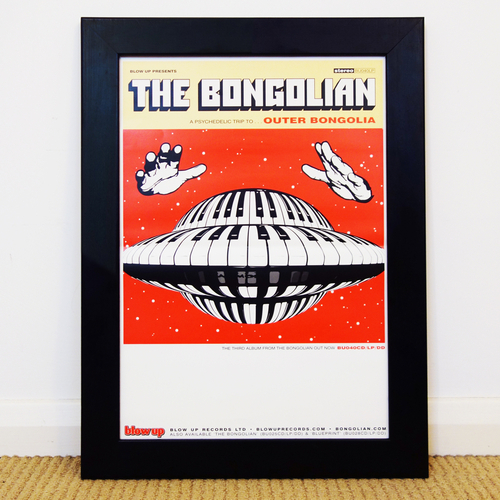 Original poster printed to promote the release of The Bongolian's third album 'Outer Bongolia' in 2007.